Undeniably, Puppy is gosh-darn likable.³ It’s also a good example of how monumental scale can add a sense of magic to an otherwise uninspired idea. 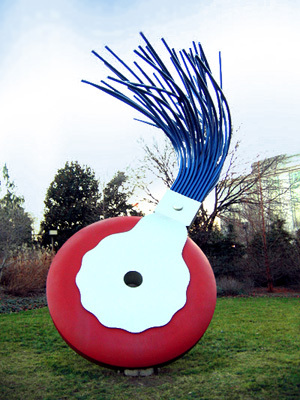 (Claes Oldenburg probably made the best use out of this principle). On the other hand, Puppy can emblemize gimmick and the vapidity of the artistic vanguard of the last twenty years. 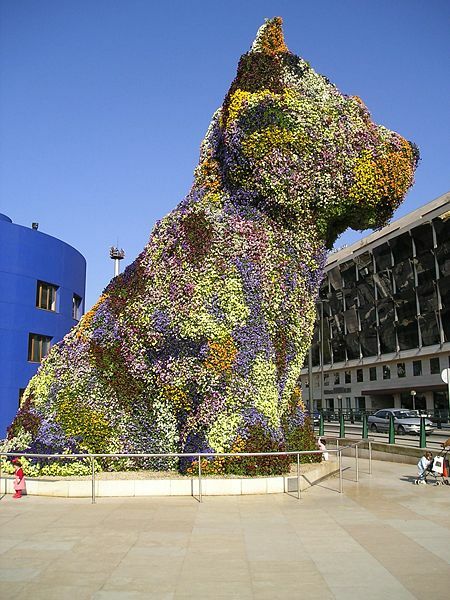 On the other, other hand, who criticizes a giant flower dog? ³ So likable, in fact, that I predict that in the year 2019, the likability of Puppy will be used to distinguish human beings from the robot-people, who will then be killed by Harrison Ford, blade runner.